The Law Offices of Robert E. Gluck, P.A. can provide you with a Boca Slip and Fall Attorney with extensive experience in the field. 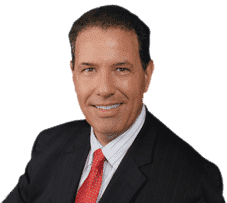 Robert Gluck is a legal professional that can provide representation for a person injured on someone else's property as the result of a slip and fall that causes an injury. In order to move forward with any slip and fall personal injury case, your Slip and Fall Attorney, Robert Gluck, must first prove that your injury was due to negligence. Negligence exists when someone falls under the standard of care that should be followed in order to avoid others from being injured. Your experienced Boca Slip and Fall Attorney will understand the necessary facts and details that are needed in your case. They will be sure to gather all of the evidence needed to ensure you receive financial compensation for your injury. Robert Gluck will first locate any witnesses to the accident so he can obtain a statement from them. He will also secure any video surveillance, take photographs of the scene, asses any property damage, and gather any other evidence he believes is necessary to helping you build a strong case. Slip and fall cases are typically difficult to defend due to the many factors that are involved. This is usually because evidence can be destroyed, repaired, or removed before any investigation begins. It's important that you hire Boca Slip and Fall Attorney Robert Gluck immediately after the accident occurs so he can start his investigation and obtain all the evidence he needs before it is destroyed. Robert E. Gluck, P.A. is an experienced Boca Slip and Fall Attorney and has been practicing law since 1989. When you meet with him, he will tell you your options and the immediate steps that need to be taken. He knows the process of these types of cases well and will follow the procedure that will get you the compensation you deserve for your injuries. He understands the importance of moving your case forward as quickly as possible so you can put this ordeal behind you and start to heal.